Solutions Staffing Inc. is your connection to finally having that work/life balance you’ve always wanted. Solutions Staffing Inc. is an employee placement agency that offers short-term or temporary healthcare assignments, as well as long-term assignments, in communities across Canada. Our approach to recruitment is to offer professional nurses and healthcare workers like yourself, the opportunity to use your considerable experience in a way that is more suitable to the lifestyle that you have worked hard to attain. Since Solutions provides a tremendous support team to all of our nurses, they are then free to provide excellent healthcare to patients in any environment. This, in turn, improves healthcare organizations’ performance and their excellence in delivering patient care. With our extraordinary pool of Registered Nurses, Licensed Practical Nurses and Allied Healthcare Professionals, we are always ready to help an organization meet its staffing challenges with quality people like yourself. Solutions Staffing has been in the business long enough to fully understand the factors that impact the medical industry as it pertains to staffing. Solutions Staffing’s management, recruiters and support services can provide the right people for planned vacancies, educational leaves, unexpected shortages and everything in between. Our organization has a consistent history of filling over 85% of the staffing requests made of us within 48 hours. If you’re a healthcare professional and are interested in traveling Canada while continuing to work, we have a great opportunity for you. If you’re a healthcare organization, let Solutions Staffing help you by providing best-in-class patient care. Our Nurses and Healthcare Professionals thrive in a fast paced environment and are flexible enough to keep up with changing environments. They also completely understand the parameters of each assignment they choose, virtually eliminating confusion when they arrive, so they are excited about the job and come ready to work. Combine that with their years of experience and service, resulting in a highly successful strategy. We believe that investing in employees is the key to an organization’s survival and to its bottom line. Clients of Solutions Staffing Inc. are supported through our extensive procedures and policies, our dynamic company philosophy and a great deal of research. Staff that are sourced through Solutions are supported in their practice by exceptional compensation, travel and accommodation rewards, educational opportunities and 24/7 clinical support. Trust: Fostering trust with our clients and staff is what Solutions Staffing is built on. Through exceptional employment standards we have developed strong, loyal relations with our current and growing staff pool. 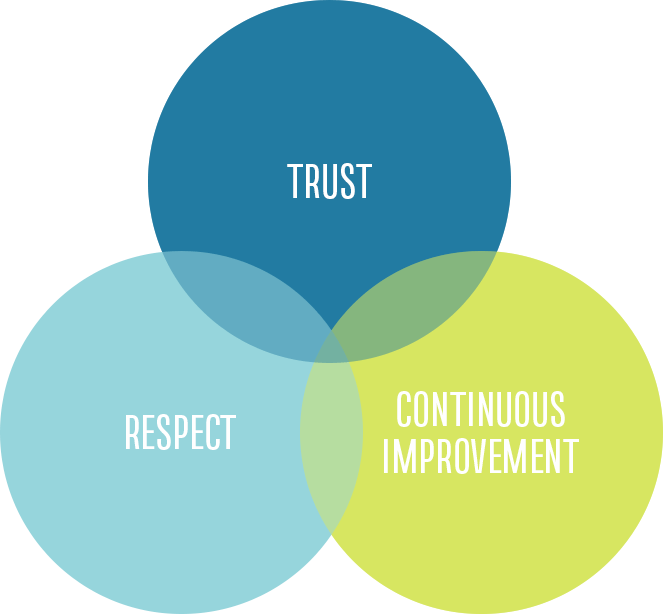 Continuous Improvement: Solutions Staffing embraces a philosophy of continuous improvement and learning. We continually assess and evaluate our agency’s programs to improve our service delivery and we are committed to providing a supportive learning environment for all our personnel. At Solutions Staffing our commitment to you is and always has been in providing qualified professional staff – to meet your immediate needs while maintaining costs that don’t break your limited budget. We identified a need within the industry and a complimentary need within the nursing community and married the two. It has been a benefit to both sectors and we are well qualified to meet the staffing needs of your healthcare organization. Solutions Staffing has extensive experience in staffing temporary vacancies ranging from 1 to 52 weeks in duration, and in resolving more permanent placements. We believe that our services provide an excellent augmentation of your organization’s current and future employee recruitment efforts. Not only do we provide immediate staffing relief, we also address long-term employee recruitment and retention strategies. Providing temporary staff to your organization is an ideal way to introduce candidates from across Canada and the world to your organization, your community and your individual facilities. We support this staff placement service with exceptional quality assurance, human resource services and advertising opportunities, as well as long-term retention strategies. Addressing issues of retention, as well as recruitment, creates a workplace where once introduced, staff will want to stay.